Kids and Sports: Why Get Children Interested in Sports? Spring is here, and it is a great time to spend time outdoors again. Children who do not want to be cooped up inside the house can play outside and enjoy the sun. It is also a good time to get kids to try various sports activities. There are many advantages to engaging in sports at an early age. Aside from being physically active and healthy, kids get to develop sportsmanship and camaraderie, learn how to think strategically and gain more friends when playing sports. Interacting with other kids their age helps improve their social skills, which would prepare them for other challenges when they grow up. Trying different kinds of sports can help your kids find one they like and might even want to pursue later in life. Team sports are a great way to introduce kids to a social and slightly competitive environment. Playing soccer, baseball, basketball, field hockey and lacrosse improves the way they interact with other children. It also fosters the spirit of camaraderie and teamwork. They learn to train hard, be focused and be disciplined when it comes to playing their chosen sport. Best of all, they can form lasting friendships with their teammates and help each other become better players. They can track each other’s performance and development by using equipment available for the team, like the radar speed gun, which measures the speed of the ball they throw or hit. In ball-focused sports like baseball, it is important to track children’s ability to throw, pitch and strike a ball. Knowing how to control speed is really helpful in their performance. If your kids have just started playing sports, it is also good to practice at home. If you have the space to set up, equipment like inflatable booths and cages will help them improve and be more adept at playing baseball. 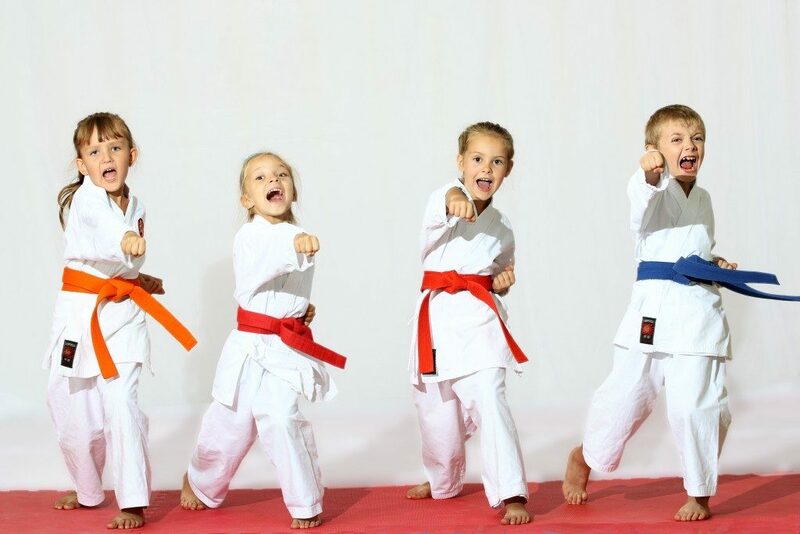 Individual sports like badminton, tennis, karate, fencing, dancing and swimming improves children’s mental strength and ability. The most challenging competition in the world is to compete with oneself. Enrolling your children in sports like these allow them to be independent and gain self-confidence. More importantly, individual sports activities teach kids to focus on their training needs and address personal weaknesses. For example, if they need to improve their serve in tennis, parents can sign up for lessons with a one-on-one coach and develop their children’s skill exclusively for that. Some kids are not interested in organized sports and parents should not force their kids if they do not feel like doing it. Staying healthy and physically active is most important. Introducing other activities such as yoga, playing catch, skating or riding bikes can also help them keep moving. Later on, they may develop an interest in sports. Getting kids into sports offers a lot of benefits and advantages for their physical, mental and emotional development. Starting them young and exposing them to a variety of activities and environments can help them build character, focus and discipline, which they will carry with them through their adult life.